This is a set of an improved version of the well-known Melzi controller board bundled together with a graphical LCD panel to allow for stand-alone operation of the printer from microSD card. The board is an out-of-the-box electronics solution for all current reprap-type 3D printer designs with one extruder. Just connect it to your Prusa Mendel or similar printer and start printing! Thanks to its Sanginolu-compatible design it is supported by all common firmware versions. The board comes pre-flashed with a current version of the Marlin firmware and an Arduino-compatible bootloader (optiboot v5.0). That means you don't need any special tools in order to update the firmware or to change to a different one. A simple Mini-USB cable is all you need. 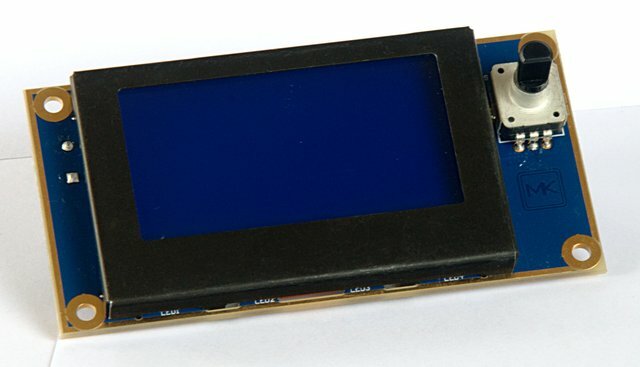 The LCD panel hosts an inverse blue/white 128x64 pixel graphical LCD (blue background, white pixel), rotary click encoder, buzzer and microSD slot. It is supported by the popular Marlin firmware. By installing the grbl firmware this board can be used for small CNC machines with up to four axes as well. All three power outputs are PWM enabled and designed for driving inductive loads. They are capable of directly driving a spindle motor or a coolant pump or powering the cutting wire of a CNC foam cutter. This set is an all-in-one solution, ready for use and with no need for any soldering or crimping. The already well-designed original Melzi board is improved by adding some of the best features of other common electronics like the Gen7 and RAMPS. The motordrivers are exchangeable now, in case an experiment went wrong. Furthermore the design was optimised from the ground up for low manufacturing costs. 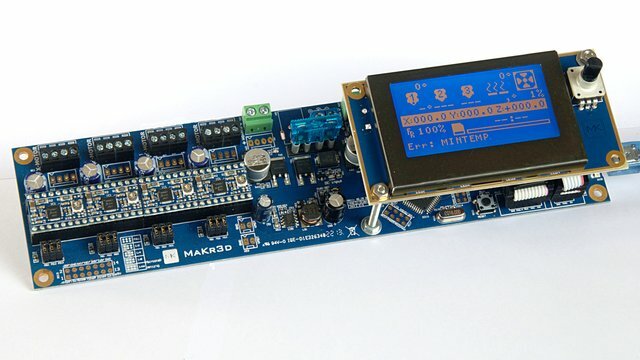 This board is designed to be hackable. All interesting signals are available at contact pads in an easy solderable standard 2.54mm pitch and they are clearly marked on the silkscreen of the PCB. It uses the MCP2200 USB-UART converter for connecting to the PC. 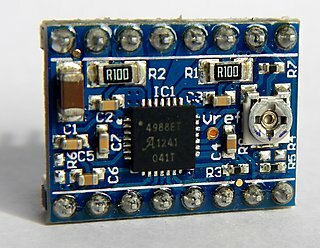 This converter offers 8 GPIO lines, programmable via USB from the PC using an existing software library. All of these signals are easily-accessible as well. Many of the existing electronics solutions focus on the build-it-yourself idea. Building everything from scratch, maybe even on a self-etched PCB, is great for the educational experience and the pride of owning a really self-made machine, but hardy includes financial advantages, if any. In most cases sourcing the required parts in single quantities in Europe is more expensive than purchasing a complete, fully-assembled and tested unit. One of my goals in producing and selling this board is to support the incredibly active and creative Maker community, by helping to improve the price and availability of the electronic components. I used to work for an electronic manufacturing service company in Asia and took advantage of my former professional experiences and contacts to offer a complete electronics set at an affordable price. This is a separate module with a graphical LCD, 128x64 pixels, backlight, a microSD slot, a rotary encoder with switchbutton for user interactions and a buzzer. It connects to the mainboard by two cables, one 10pol and one 6pol. The 6pol cable connects to the standard 6pin Atmel-ISP connector and the 10pol cable connects to the 8 bit extension connector. It is possible to adapt this module to other boards, but you will probably have to modify the wiring of the 10pol cable. The panel can be mounted on top of the mainboard using the included standoffs or detached from the mainboard for installation in a different location. The set comes with four stepper motor driver modules included. They are compatible with the popular A4988-based Pololu driver modules. But unlike many others, they are shipped fully assembled and there is no contact pin soldering required. They are capable of driving currents up to 1.5A per phase. For most printer designs and typical NEMA17 motors currents in the range of 0.3A to 0.75A are required. Fine current adjustment is easy as the current-set-potentiometer utilizes the maximum 270° rotational range for the full range. Many other modules are much harder to adjust as they use only 90° or even less for the full current range. 4 exchangeable A4988 motor driver modules, Pololu-compatible, 1.5A per phase max. 3 PWM capable power-MOSFET outputs with indicator LEDs (red), 10A/5A/1A resp., suitable for inductive loads. Fuse-protected DC input, 8-30V, 15A max. DC/DC converter for 5V generation - no need to modify voltage range resistors if using voltages other than 12V. One programmable yellow LED, very helpful with the Arduino bootloader. Please note: You will need a mini-USB cable to connect with your computer, this is not included with the board. You are helping with the product introduction, even in two ways at the same time: The first sales will help with the production setup costs. Besides, maybe even more importantant, you are voting for the right proportion between the different options full set/board only/panel only. 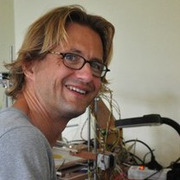 I am a freelance electronics and computer engineer with 14 years professional experience and another 14 years of private experience with embedded systems design and programming. 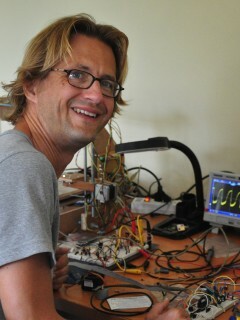 I used to work as the R&D manager of an electronics design and manufacturing services company in Thailand. Last year I got hooked on the idea of building my own 3D printer, and that project brought me into contact with the incredibly active Maker community. As I delve further into this community, it surprises and impresses me over and over again. There are so many great ideas out there! After finishing this campaign, I am planning to sell these (and some other) parts commercially. Check out my website at makr3d.de. Is the shipping cost included in the prices? No, it's not. In most cases the first article is 3,80€ for Germany or 10€ for the other EU countries and 2,00 to 2,50€ for additional items. The actual shipping cost will be shown before you enter your payment data. If the numbers you see are very different from what you are expecting, please contact me to fix the problem. I would like to ship worldwide via Amazon.com as well, but so far I haven't figured out how to manage the import into the US without being a US citizen or a US company. If you know somebody who could tell me what to do please contact me right now! Early bird offer for a special price! Panel with a large, blue/white graphical LCD with backlight, a microSD-slot, a click encoder switch and a buzzer. Panel with a large, blue/white graphical LCD with backlight, a microSD-slot, a click encoder switch and a buzzer. Early bird package for a special price! You get my Melzi controller board with microSD slot and four pluggable A4988 motor driver modules (Pololu-compatible, up to 1.5A per phase). You get my Melzi controller board with microSD slot and four pluggable A4988 motor driver modules (Pololu-compatible, up to 1.5A per phase). Early bird package for a special price! Full set with Melzi controller board, panel with graphical LCD and four A4988 motor driver modules (Pololu-compatible, up to 1.5A per phase). Full set with Melzi controller board, panel with graphical LCD and four A4988 motor driver modules (Pololu-compatible, up to 1.5A per phase).